In my role as a sales support specialist, I interact with prospects on a daily basis. Some prospects are searching for an outsourcing partner for the very first time. Others are currently working with an existing outsourcing partner, but are looking to make a switch in providers. 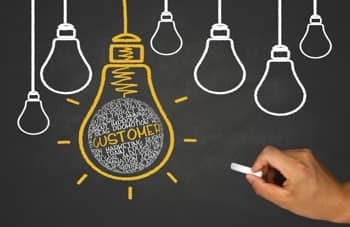 Because we here at RBB strive for 100% customer satisfaction, I’m always looking to understand the prospect’s needs as well as understand the factors influencing the decision to switch partners. 1) Quality issues: One of the main reasons these prospects choose RBB is that they are unhappy with the quality that their current partner is providing. At RBB, quality is a major focus and one that is constantly monitored and improved. 2) Turn around time: Timing is everything when outsourcing materials. Lags in production and delivery are just not acceptable. At RBB, we work with our customers to ensure that we deliver when we say we will. 3) Customer Service: Some of these prospects have had issues with getting fast and accurate communication with their current supplier. They don’t respond quickly enough or calls/emails are ignored. RBB “moves heaven and earth to get our small batch customers what they need, when they need it.” Fast, reliable answers are usually at the top of that list. If you’re reaching out to us, expect a response within an hour. 4) Returning to Domestic Companies: As seen in many industries, many companies want to return to American-made products. They have experienced quality, responsiveness, and/or total landed cost issues with foreign partners. These days it is often more reliable and also less expensive to get a higher quality product made right here in the U.S.A.
Whatever the reason for a prospect’s decision to make a switch in outsourcing partners, RBB Systems can make the transition go smoothly by offering fair pricing, quick turn around time, expert customer service and the highest quality products. What are you doing to ensure that you deliver what your customers demand?